(19051a, Florence Correll Collection, OHS). (3728, Josiah Butler Collection, OHS). (4706, W. P. Campbell Collection, OHS). During the nineteenth century few solutions to the so-called "Indian Problem" were mentioned more often than education. Because American schools promised both an intellectual and cultural transformation, federal policymakers had relied on them as early as the colonial era in the search for institutions that would quickly assimilate Indians. Schools promised a systematic, uniform standard against which progress could be measured; they could be built anywhere and everywhere; they could accommodate girls and boys. Most importantly, they targeted children, who were vulnerable to change and least able to resist it, at least in theory. Education, as Robert Utley has observed, "represented the most dangerous of all attacks on basic Indian values, the one most likely to succeed in the end because it aimed at the children, who had known little if any of the old life." In Oklahoma the enormous number of Indians, the perceived need for their quick assimilation, and an impatient American population anxious to gain access to Indian lands combined to make Indian schools a crucial component in federal Indian policy. Immediately after removal, for example, numerous academies, day schools, and boarding schools funded by treaty annuities and other tribal monies appeared among the Five Tribes. Importantly, many tribes established these schools to ensure that their own people would be educated in order that they might become defenders of tribal political sovereignty, not so that they could become assimilated and disappear into the American mainstream. The Cherokee government established a public school system in 1841 and operated eighteen public schools by 1843. In 1844 the Chickasaw tribal government appropriated funds for a tribal academy, which was opened seven years later as the Chickasaw Manual Labor School for Boys. Between 1852 and 1859 the Chickasaw opened four more boarding schools. The Choctaw Nation, whose educational system became the model for schools in the Creek, Chickasaw, and Seminole nations, had twelve tribally funded schools in operation by 1838. Many schools among the Five Tribes operated in association with Christian missions. There were five mission schools in the Choctaw Nation by 1838, for example, and four mission schools among the Seminoles by 1868. In the Creek Nation the Presbyterians opened Koweta Mission School in 1843 and Tullahassee Mission Boarding School in 1850. The Methodists opened Asbury Mission School the same year. In the Chickasaw Nation the Methodist Episcopal Church opened Bloomfield Academy for Chickasaw Females in 1852. Many of these schools remained in operation into the twentieth century, but almost all of them were closed by midcentury. After the Civil War ended, land hunger brought mounting pressure for access to reservation lands in the western half of the state. In an effort to assimilate the tribes prior to opening their lands to settlement by whites, federal officials intensified their commitment to education. The treaties concluded with the Kiowa, Comanche, Apache, Cheyenne, and Arapaho tribes at Medicine Lodge Creek in 1867, for example, included unambiguous stipulations for schools and requirements for tribes to enroll every eligible child. "In order to ensure the civilization of the tribes," the Kiowa and Comanche were to "pledge themselves to compel their children, male and female, between the ages of six and sixteen years, to attend school." For every thirty school-age children enrolled, the government promised to provide a teacher and schoolhouse for a period of at least twenty years. As with the tribes in the eastern half of the territory, the school system in the west was a combination of day schools and boarding schools paid for with private and public funds. Unlike the Five Tribes, the western tribes did not create their own school systems. 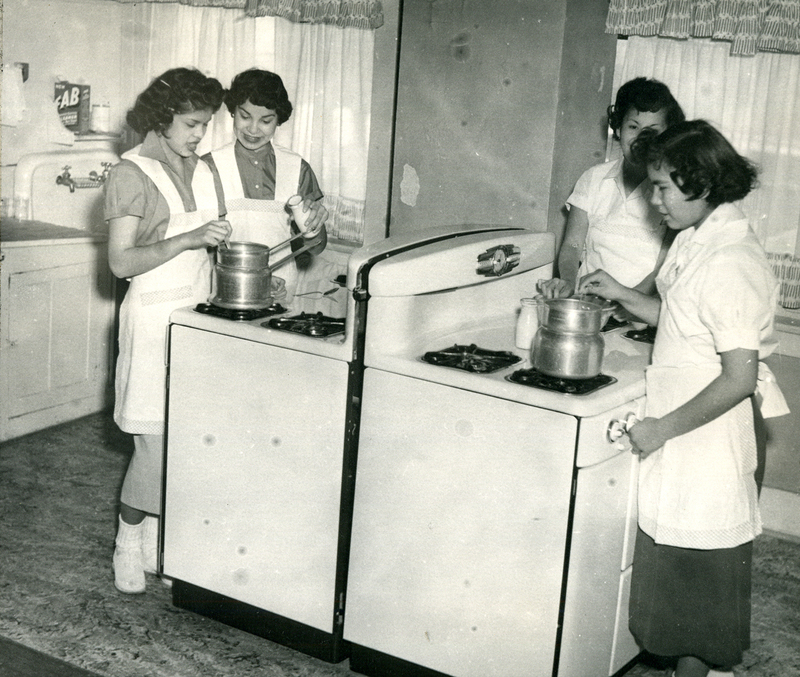 Policy makers relied on two kinds of reservation-based schools: day schools, which were typically operated by the mission stations, and boarding schools, which were operated by religious denominations as well as by the government. At the Kiowa-Comanche-Apache (KCA) Reservation, for example, the Friends (Quakers), Catholics, Baptists, and Methodists sponsored day schools and boarding schools beginning in the 1870s. 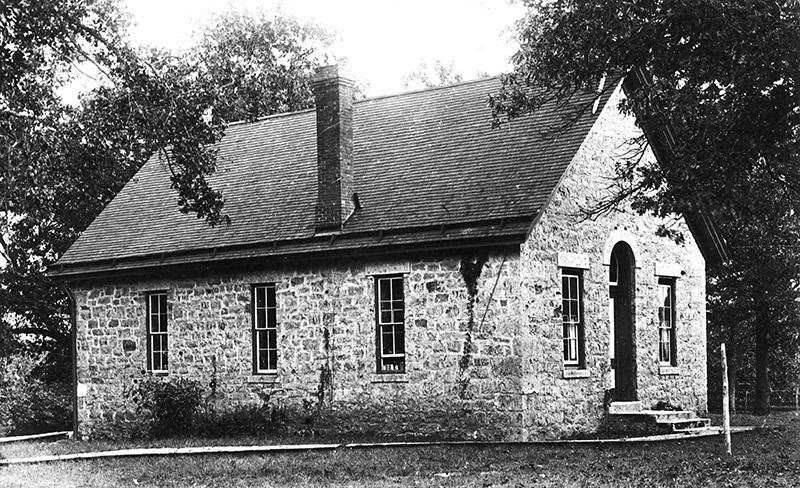 The first school of any kind at the KCA Reservation was a small boarding school opened in 1871 by two Quakers from Ohio for Caddo and Wichita living near Fort Sill. It later became the Fort Sill Indian Boarding School and served mainly the Comanche and Apache. 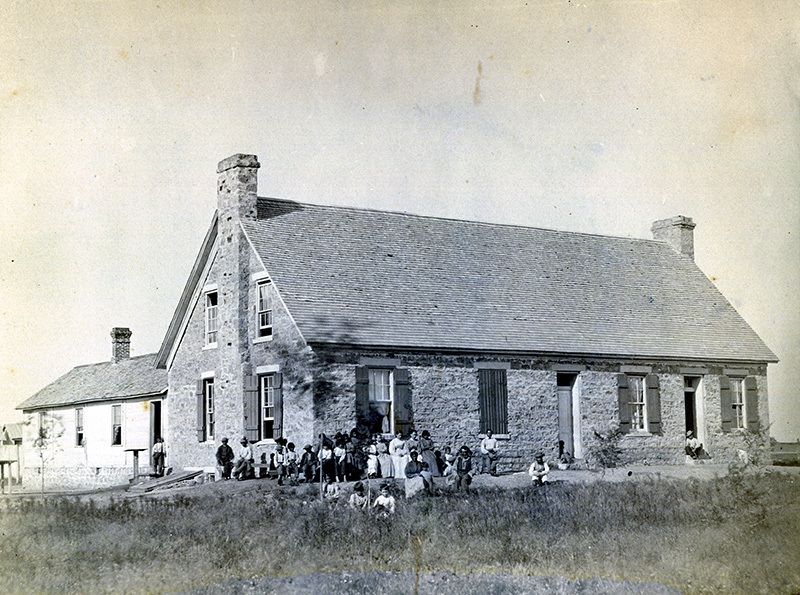 In 1871 just north of Anadarko, Quakers also opened the Wichita School. It later became a federal boarding school and was renamed Riverside Boarding School. Father Isidore Ricklin opened St. Patrick's Boarding School at the Anadarko Catholic mission in 1892; like the Wichita School, it was taken over by the Bureau of Indian Affairs (in 1911) and renamed the Anadarko Boarding School. The Kiowa got their own school in 1893 when the Rainy Mountain Boarding School opened south of Gotebo, more than twenty-five years after the Medicine Lodge agreement had promised them schools. In addition to these, the federal government operated an off-reservation boarding school at Chilocco in north-central Oklahoma between 1884 and 1980. Of these, only the Riverside School remains in operation today. Rainy Mountain closed in 1920, St. Patrick's in 1963, and Fort Sill in the 1970s. Despite the limited number of schools, many Indian people encouraged their children to attend the schools and get an education. The Kiowa, Comanche, Cheyenne, and Arapaho tribes, for example, all lobbied the government in the late nineteenth and early twentieth centuries for more and better schools and for fair access to public schools once their government and private schools closed. The Creek Nation took an extraordinary step in 1885 when the tribal council and Almon C. Bacone of the American Baptist Home Mission established Indian University in 1885 in Muskogee on 160 acres of land donated by the tribe. Renamed Bacone College in 1910, it continues to serve Native students. In 1934 the Congress enacted the Johnson-O'Malley Act, authorizing the federal government to contract with states to provide educational services for Indians. Since 1994 Title IX, a federal education act for American Indians, Native Alaskans, and Native Hawaiians, has provided funds to school systems specifically for Indian education. Clyde Ellis, To Change Them Forever: Indian Education at the Rainy Mountain Boarding School, 1893–1920 (Norman: University of Oklahoma Press, 1996). Clyde Ellis, "Boarding School Life at the Kiowa-Comanche Agency, 1893–1920," Historian 58 (Summer 1996). Clyde Ellis, "'There Are So Many Things Needed': Establishing The Rainy Mountain Boarding School, 1891–1900," The Chronicles of Oklahoma 72 (Winter 1995). Clyde Ellis, "'A Remedy For Barbarism': Indian Schools, The Civilizing Program, and the Kiowa-Comanche-Apache Reservation, 1871–1915," American Indian Culture and Research Journal 18 (No. 3, 1994). K. Tsianina Lomawaima, They Called It Prairie Light: The Story of Chilocco Indian School (Lincoln: University of Nebraska Press, 1994). Sally McBeth, "Indian Boarding Schools and Ethnic Identity: An Example From the Southern Plains Tribes of Oklahoma," Plains Anthropologist 28 (May 1983). Sally McBeth, Ethnic Identity and the Boarding School Experience of West-Central Oklahoma Indians (Washington, D.C.: University Press of America, 1983). Devon A. Mihesuah, Educating the Rosebuds: The Education of Women at the Cherokee Female Seminary, 1851–1909 (Urbana: University of Illinois Press, 1993). Robert M. Utley, The Last Days of the Sioux Nation (New Haven, Conn.: Yale University Press, 1963). George Posey Wild, "History of Education of Plains Indians of Southwest Oklahoma Since the Civil War" (Ph.D. diss., University of Oklahoma, 1941). Clyde Ellis, "American Indians and Education," The Encyclopedia of Oklahoma History and Culture, https://www.okhistory.org/publications/enc/entry.php?entry=AM012.